Ladies Go Masked by Margaret Widdemer. New York. Farrar & Rinehart. 1939. First Edition. Hardcover. Good with no dust jacket. Edgewear. Exlibrary with markings. Front endpaper is missing. Reading copy only. 272 pages. 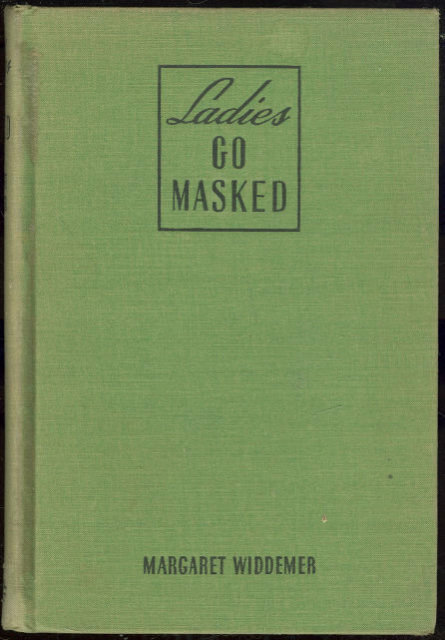 Items Similar To "Ladies Go Masked by Margaret Widdemer 1939 1st edition"